Cuyali, El Paraiso, Honduras, June 2003. 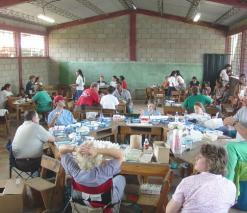 God uses medical-dental-evangelism teams to open doors to share Jesus Christ in the poor rural communities in Honduras. Several months before the team arrives the Field Director visits the community and gets the cooperation of the school director, teachers, mayor of the town, local pastors, etc. 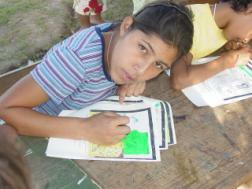 who are responsible for publicity and getting the community to respond to the medical caravan. The most important question: “Is God at work in this community? Does He want this team to work here at this time?” If there is no clear conviction that God is leading us we do not go to that town with this team. 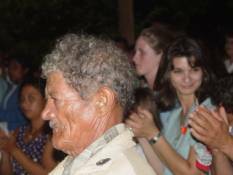 We conduct around twenty-five worship services during each team visit. 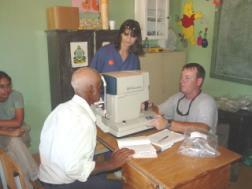 Every patient must attend a worship service before he can see a doctor or dentist. 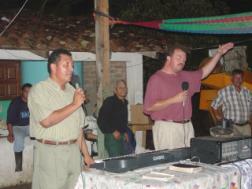 On this trip 125 professions of faith were made in the public worship services. 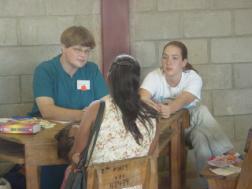 Larry Murphy’s Central Alabama Medical-Dental-Evangelism Team served in Cuyali, El Paraiso, Honduras, May31-June7, 2003.